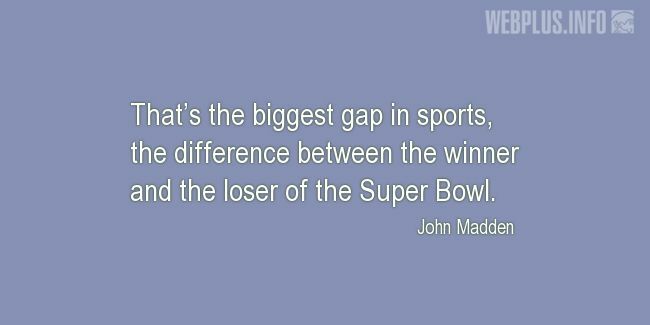 «The biggest gap in sports» illustrated quotation. Winning, free quote pictures for Facebook, Twitter, LinkedIn, Reddit, Pinterest and other social networks. That’s the biggest gap in sports, the difference between the winner and the loser of the Super Bowl.